Can You Fry a Yukon Gold Potato? 2 Can You Fry a Yukon Gold Potato? Boiling potatoes doesn't require much culinary know-how, but choosing the right kind to boil takes insight into which varieties work best. 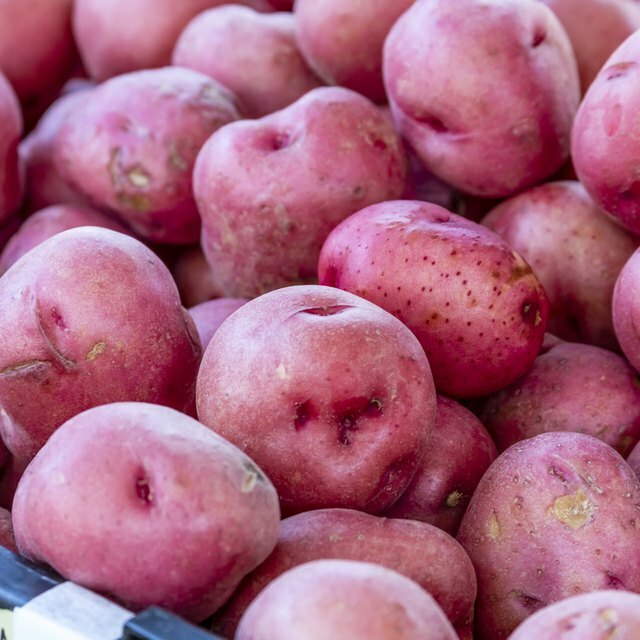 Waxy potatoes, such as red-skinned varieties, stay moist without absorbing too much water and hold their shape after cooking -- traits you want in a boiling potato. On the other hand, starchy potatoes, such as russets, work best for baking, frying and mashing. And then you have potatoes that fall between starchy and waxy, such as Yukon Gold, an all-purpose variety that works in most applications. Scrub the potatoes with a vegetable brush under cool running water. Peel the potatoes or not, but skin-on potatoes cook more evenly and retain flavor better than peeled potatoes; you can easily slide the skins off afterward if you want. Cut potatoes for salad into two-inch chunks and place them in a bowl of cold lemon water; otherwise boil them intact. Place the potatoes in a pot. Cover the potatoes with cold water by 2 inches and add a pinch of salt. Bring the water to a boil. Lower the heat to a simmer when the water starts to boil. Simmer the potatoes uncovered until they pierce easily with a paring knife or skewer -- 10 to 20 minutes for whole potatoes and 5 to 10 minutes for diced potatoes. 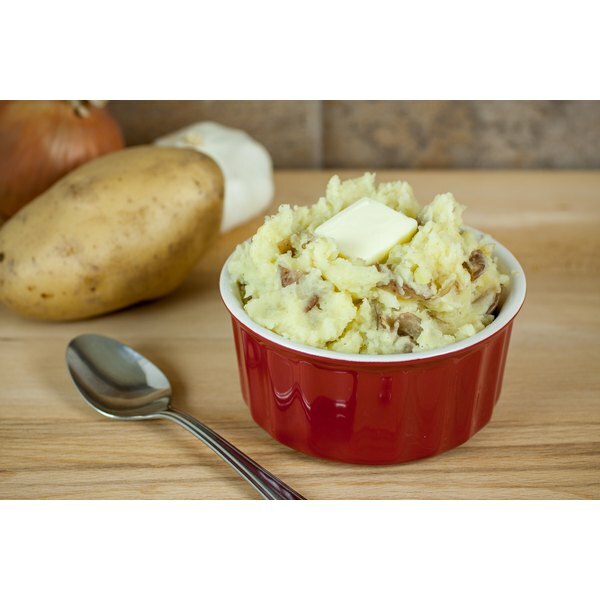 Remove finished whole potatoes with a slotted spoon. Empty a pot of diced potatoes into a colander and run cold water over them until cool. Can You Freeze Sweet Potatoes After They Have Been Boiled & Mashed? What Do the Amish Feed Their Chickens?